Former toy manufacturing facility converted to apartments. 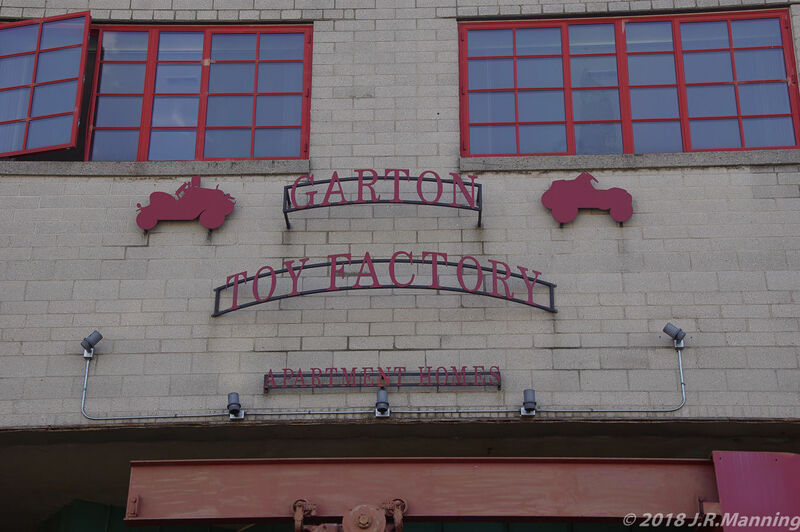 The Garton Toy Company had its roots in Sheboygan Falls in 1863 when Eusebius Bassingdale Garton immigrated from Ontario. He worked his way up through several employers before buying the Sheboygan Manufacturing Company facility in 1879. With James M. Logan, he founded the toy company in the purchased facility. Their first product was a wooden coaster wagon that the Garton family says was the first of its kind. After a disastrous fire, the toy factory was reestablished on the Sheboygan River. Garton died in 1931 and the company was taken over by his son, Clarence. The company became a major player in the toy industry and in the 1930s boasted the largest production of wheeled juvenile goods. Garton acquired other manufacturers to increase market share and improve their product line. 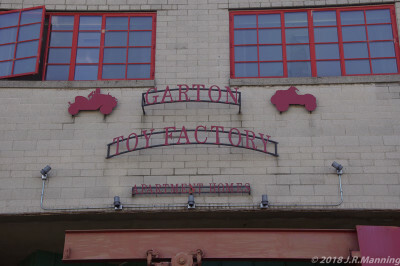 Garton began to make pedal cars. In postwar America, business boomed. Garton produced millions of sleds most with private labels. An industrial wagon of in-process sleds, remaining from the close of toy manufacturing, is on display in the real estate office. The sleds bear the name Wards Hawthorne from Montgomery Ward. In 1950, Garton produced its most successful product, a pedal car called The Kidillac, designed by Bill Mitchell who would later be a vice president of General Motors. The Kidillac was also displayed in Cadillac showrooms and the design was approved by Cadillac Motor Division to be produced by Garton Toy Company. Steel products were produced in a new plant north of Sheboygan that is still used by Kohler Manufacturing. This plant continued to produce wooden products until production ceased. In the 1970s, with changes in the manufacturing world in both production and legal considerations, Garton decided it was cost prohibitive to make the conversions. The company was sold to an investment firm in 1973 that eventually ceased toy operations. In 1987, the building was purchased by Veryfine Diary for warehouse space. The conversion to apartments began in 1999 and the building was placed on the NRHP in 2000. May 10, 2018: Updated by J.R. Manning: Updated status, added essay and added photos.